20K1400 Lexmark Color C510 (CYAN) compatible toner cartridge. Estimated page yield is 10,000 pages at 5% coverage. 20K1402 Lexmark Color C510 (YELLOW) compatible toner cartridge. Estimated page yield is 6,000 pages at 5% coverage. 20K1401Lexmark Color C510 Series (MAGENTA) compatible toner cartridge. Estimated page yield is 6,000 pages at 5% coverage. 12B0090 Lexmark W820 compatible toner cartridge. Estimated page yield is 30,000 pages at 5% coverage. 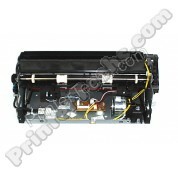 PrinterTechs compatible fuser 40X2592, for use in Lexmark T640 T642 T644 series. You can save some money by purchasing the fuser on exchange; see exchange terms in details below. PrinterTechs compatible fuser 99A2423 for use in Lexmark T520 and T522 series. You can save some money by purchasing the fuser on exchange; see exchange terms in details below.